The Ford Model S was a variant of the Ford Model N, which was introduced in 1906. The Model S went on sale in 1907, alongside the Model R and they lasted through 1908. It was an important car for Ford, as it was the lead-in to the Model T.
Like the Model T after it, it was rugged, simple and not very luxurious. 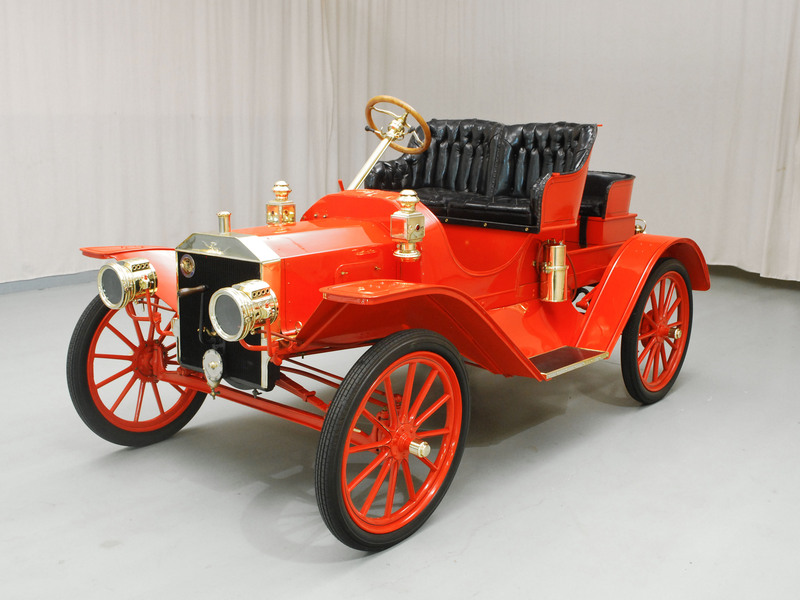 In 1907, automobiles were purchased by the affluent – not the “everyman.” But it wasn’t cheap. The Model S retailed for $700, while the Model T, once economies of scale and mass production came into play, would hit a price point as low as $260. The Model S used the same 2.4-liter straight-four making 15 horsepower as the Model N, though the bodywork was more modern and it featured full running boards and a third seat behind the front bench. It was also Ford’s final right-hand drive model. Only 3,750 were built and this one can be yours for $59,500. You can find out more here. This entry was posted in Uncategorized and tagged 1907, auctions, cars, classic cars, ford, hyman ltd, model s by classiccarweekly. Bookmark the permalink.